This child's rocker was built by my Dad; Goos Woodworks. I had originally thought it would be best to leave it unfinished. That way the person that bought it could paint or finish to match their decor. That didn't go over so well. It sat for about 6 months! So then I decided that I would paint it. I wasn't sure what color to go with. Gut....something bright and fun. However, that didn't seem to be "universal". So I went against my gut and went neutral. Something that would appeal to most. I painted it a very pale green. So pale it almost seemed off white. Apparently...it didn't impress me too much! This was the ONLY photo I could find of it! I think it was like this for almost a year! Well, I finally decided it was time to go with my gut. Go Bold! Ah! Much better! I painted the entire rocker in CeCe Caldwell's Blue Montana Sky! Then I free handed some numbers on with regular chalk. This works REALLY well! Once you paint in the numbers and let the paint dry, simply wipe away the chalk lines! Maybe the third life of this little rocker will allow it to find it's forever home! I hope so, I REALLY like it now! Should have went with my gut the first time! The lamp in the photo was a Goodwill purchase. I have a thing for milk glass lamps! This one however, I am not sure what they were thinking when the added the wood center. It just didn't do it justice. 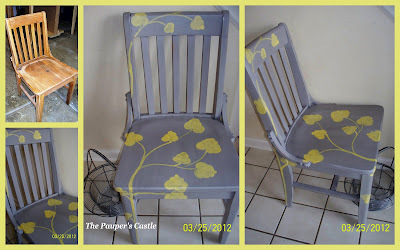 When I purchased it, I envisioned a fun pop of color. I decided to go with CeCe Caldwell's Chalk & Clay Paint in Spring Hill Green. I planned to add a white shade with green ribbon on the trim! Target saved me the energy. I found the lamp shade at Target...as is! It was a perfect match. Life is good! THE CECE CALDWELL'S GIFT BASKET GIVE-AWAY PART I, ENDS TONIGHT! Mr. T and I FINALLY made it to this little place that we found last fall to do some shopping this weekend. When we stumbled up it last fall we had our little one with us and it just wasn't condusive for true treasure hunting. We have been talking about getting back to this place, but hadn't until this weekend. It's one of those places that you have to climb over things to get to the next. It's dusty, dirty, but full of treasures. You know the kind you walk in and you're glad you have closed toed shoes on, but wish you would have brought your gloves too. We were hoping to have a sitter the next time we went back since it's not the most ideal place for a 3 year old. However, lining up a sitter sounds easier than it is sometimes. These days teenagers are so busy playing sports and working you have to book them weeks in advance. And since you have to call ahead to make sure the place is even open...planning weeks in advance just doesn't work in this case. So our family of 3 went to do a little hunting and before we got there we practiced "keeping our hands in our pockets". Those of you with little ones know EXACTLY what I am talking about. This place makes my heart flutter. So many treasures and you can only take a few...mostly because I don't have a vehicle large enough to fit them all in! I thought I would start by sharing the little night stands we picked up. It is solid rock maple (Condider H. Willett Furniture Company out of Louisville, KY) and must weigh 25-30 pounds. The finish was in rough condition, but the piece was a solid as the day it was built. So we snagged it! I couldn't wait to get started painting it. It's been several weeks since I have made it to the garage and I was missing it. 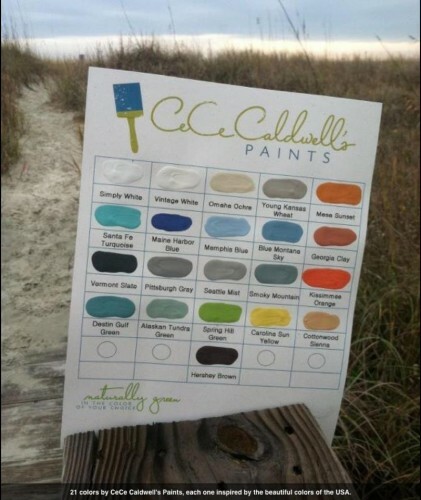 CeCe Caldwell's Chalk & Clay Paint. I have mentioned before that I always wash my pieces with TSP-FP? This picture should speak a THOUSAND words!! If you haven't been washing your pieces before you paint....maybe you will want to now? And yes....this was the ONLY piece I washed! And yes...that is WATER and not motor oil! This was the piece after it had been cleaned. You could tell from washing it down, while the wood was wet, that it must have been a beautiful finish in it's prime. I loved the wood grain and the pegs on the corners. I wanted to keep some of the original characters showing. So Mr. T kindly sanded the top so that I could stain it. I was right, this picture does NOT do it justice. It is absolutely stunning wood. I painted the body of the night stand in CeCe Caldwell's Blue Montana Sky and then added a faux damask look to the fronts of the drawers with Memphis Blue. I also painted the drawer pulls in Memphis Blue. Sophisticated, casual and whimsical all at the same time! I snagged a FANTASTICALLY beautiful occasional table that has the most glorious detail. Can't wait to share. Until then, don't forget about the contest we have going on. It ends on Saturday! 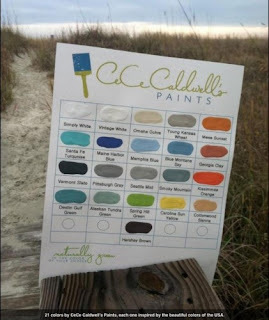 Win this gift basket of CeCe Caldwell's Chalk & Clay paint in the color of your choice. Plus a can of her all natural wax and some other fun accessories! 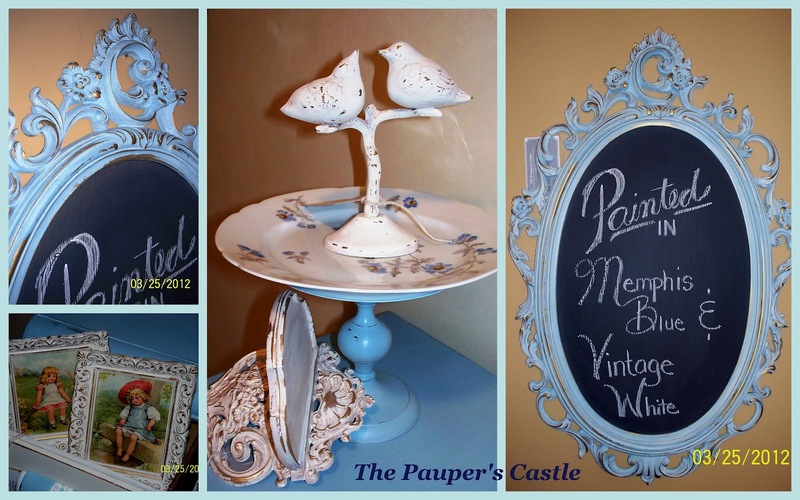 WIN - CeCe Caldwell's Chalk & Clay Paint, Plus SPECIAL Pricing! Why is this paint so fabulous? Because it's all natural, 100% Green Paint. NO VOC's, NO odor and completely Non-Toxic. in the color of your choice? What about a FULL can of CeCe Caldwell's all natural wax? 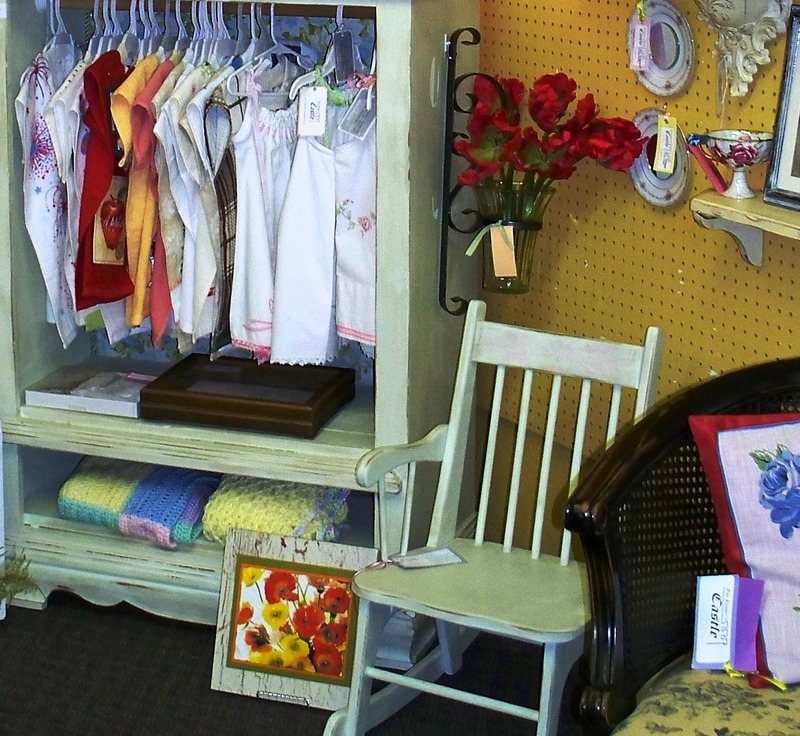 For Special In Store Pricing and a Chance to Win Some CeCe Caldwell's Paint and Wax! Since we are in an antique mall we don't get a chance to meet our customers on a daily basis like we could if we had a free standing store (hmm...maybe someday). Mr. T and I will be there to get to know you, hear about your projects and answer any questions you may have about CeCe's Paint. We will be doing a small demo with the paint as well! Can't join us in person? No worries, I haven't left you out! You STILL have a chance to win this great basket! Receive 1 entry for each of the following bullets. In order to receive 1 entry for each bullet you MUST leave a separate comment for each one. Like Main Street Shoppes on Facebook and then come back and leave a comment that you "liked" the mall. This is where we have our little shop. 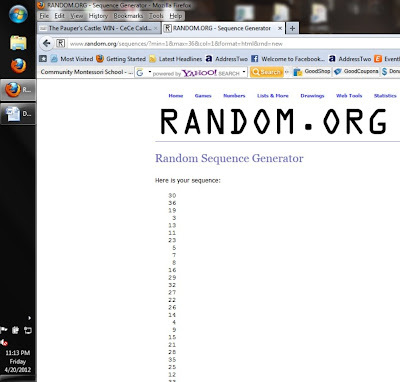 I will use Random.org to select 3 numbers. These 3 numbers will then receive 5 hand written, paper entries into the FINAL drawing that will be held on Saturday, April 21, 2012. I will post the three finalist of the 1st round, to the Blog, Facebook and Twitter on Friday, April 20, 2012. After 3pm, Saturday, April 21st, I will have an employee from the mall (Main Street Shoppes) draw a name from the basket. 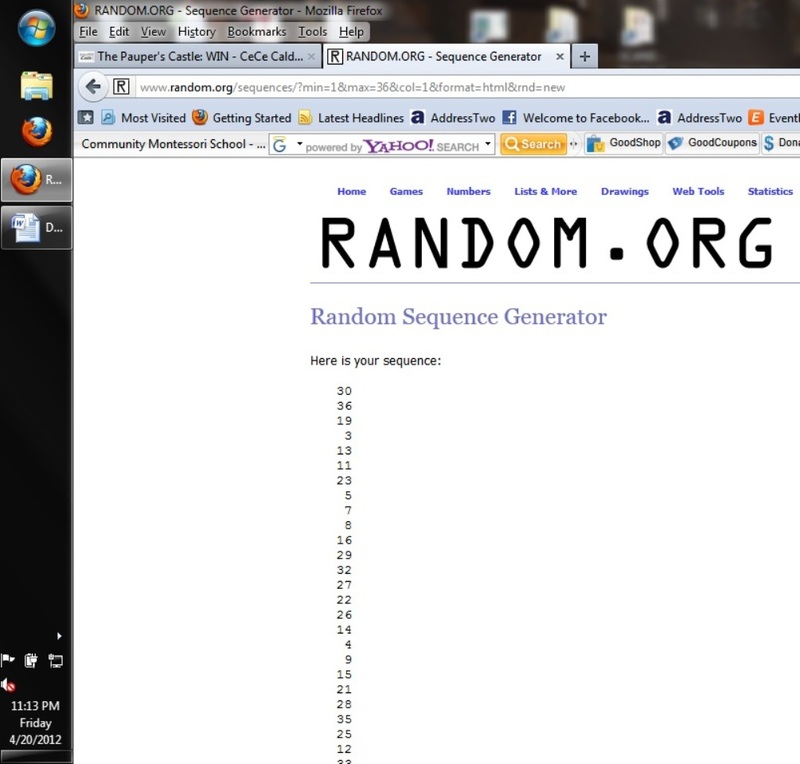 I will announce the final winner via the Blog, Facebook, and Twitter on Sunday, April 22, 2012. So please join us, Saturday, April 21st! We can't wait to meet you! I really am still here! This post is ALL OVER EVERYWHERE, so please hang with me...Just trying to catch up. 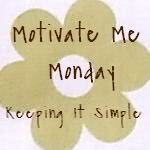 I think I need to learn to tell myself NO every now and again. The month of March is called "March Madness" at our house. Not because of basketball, but because we celebrate my daughter's birthday, my husband's birthday, our anniversary and my birthday all in 2.5 weeks. You would think after 10 years of marriage and 3 years of our daughter being around I would be a little more prepared for the chaos every year! Some how it just sneaks up on me. Well this year, little Missy decided she wanted a "castle cake with lots of princesses", to quote her. So that is what she was going to have! When I made plans to make this cake (in my head) it seemed like NO big deal. Well let me tell you....it was! An almost 72 hour BIG DEAL. I enjoy making cakes, but this is not my area of expertise. Since she was born they have become increasingly more complicated every year. So next year...we will need to decide on something a little more simple. This cake weighed at LEAST 25 lbs! What was I thinking? To add to the chaos of the birthday baking process, my daughter and I are now on a gluten free diet. I've spent the last 3 years thinking my body was simply falling apart at the ripe old age of 36 (did I really just admit to my age? I think I did.) And for the past year we have been in and out of the doctors with my daughter trying to figure out intestinal issues. I had accepted all the strange things that kept happening with me and that no one and no test could explain as "old age", but when Naomie would cry EVERY night at dinner time and fight us when it was time to eat and complain of her tongue, tummy and back hurting...I decided it was time for some research. What 3 year old complains of a back ache? After reading many articles and flipping through a few books, I decided maybe it was time we both gave the gluten free diet a 6 week chance. After all, It was only 6 weeks...I could give up nice-soft-fluffy-white-bread-that-wraps-itself-around-your-mouth-with-love. Couldn't I? YES, I can! (at least that is what I was telling myself). Naomie doesn't seem to miss the gluten laden things the same way I have. But after all...she is only 3 and really only been eating solid food for 2 years. I had at least 35 years under my belt and knew EXACTLY what I was missing out on. Let me tell you...it has only been 4 weeks, and I will never look back! Naomie is eating again and no more tears! Dinner is much more peaceful. She is not complaining of a tummy ache, back ache or tongue pain. And more importantly...what is coming out of her doesn't look quite as strange. I won't go into detail here! I will spare you from that! I, on the other hand, FEEL LIKE A WHOLE NEW PERSON! The numb hands and feet...practically GONE, the pain in EVERY JOINT in my body....GONE. The head-aches (stress as they were labeled) that I have had for almost 6 years now....GONE. The planters fasciitis that I have had in my right foot for 3 years and could NOT get rid of....GONE. The hip pain that came out of no where and I spent 8 weeks and $3000 in physical therapy...BETTER (remember...it's only been 4 weeks...better is an improvement) Chronic fatigue...the kind that you couldn't sit down in the evening for just 5 minutes...say good-bye because chances are, I had fallen asleep. This had STOPPED. For me personally, this is reason enough to give up nice-soft-fluffy-white-bread-that-wraps-itself-around-your-mouth-with-love. OH how my mouth does love gluten, but I love life much more than bread and to feel like a person again is worth the sacrifice and extra work and cost that this has created for our family. In the past 4 weeks I have been reintroduced to my kitchen in ways I never thought would happen in 2012. We are baking EVERYTHING from scratch! The bad news is, this has taken a ton of time from The Pauper's Castle, the blog, The Indianapolis Promise Walk for Preeclampsia and a few other things I have on my plate. The good news is, we are feeling better and eating better than we have in a very, very long time! Some how I did manage to squeeze out a few projects and I thought I would share! This chair was painted in CeCe Caldwell's Chalk & Clay Paint. Seattle Mist and Carolina Sun Yellow! Makes me smile! 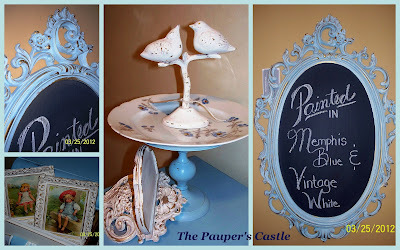 Some home decor items finished in CeCe Caldwell's! The not so lovely before! Thanks for hanging with my randomness! PS---I have a little announcement to make in the next day or so!